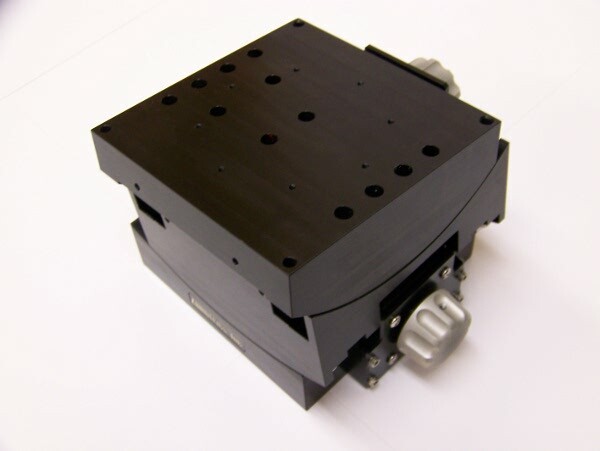 The Microscope Rotary stages were designed for industrial reflective light applications. they are a low cost system, that offers 4" of radial travel (R) and 360° rotation (Theta) in a thin stage. Motorized & Manual Microscope Stage Systems 4"x4"
These Microscope Stage Systems offer 4" x 4" travel in a thin (19mm to 34mm thick) X, Y stage. Designed as a general purpose stage to fit most upright microscopes and industrial applications. Optional Linear encoders with high precision ballscrew version. Motorized Microscope Stage Systems 6"x6"
These Microscope Stage Systems offer 6" x 6" travel in a thin (23mm or 48mm) X, Y stage. Designed as a general purpose stage to fit most upright microscopes and industrial applications. Optional Linear encoders with high precision ballscrew version. Motorized Microscope Stage Systems 8"x8"
These Microscope Stage Systems offer 8" x 8" travel in a thin (23mm or 48mm) X, Y stage. Designed as a general purpose stage to fit most upright microscopes and industrial applications. Optional Linear encoders with high precision ballscrew version. Motorized Microscope Stage Systems 12"x12"
These Microscope Stage Systems offer 12" x 12" travel in a thin (48mm) X, Y stage. Designed as a general purpose industrial stage. Optional Linear encoders. Motorized Microscope Stage Systems 16"x16"
These Microscope Stage Systems offer 16" x 16" travel in a thin (48mm) X, Y stage. Designed as a general purpose industrial stage. Optional Linear encoders. Our complete line of stages to fit most Zeiss microscopes. Included is our general purpose upright stages and our Zeiss specific inverted (axiovert) stage systems. Our complete line of stages to fit most Nikon microscopes. Included is our general purpose upright stages and our Nikon specific inverted (TE200/300) stage systems. Our goniometric stage systems. Goniometric stages are used to rotate an object about a point in space. A unique tool, it provides precision angular adjustment of an object, about a fixed point located above the center of the mounting surface. Our Thompson bearing stages are a low cost general purpose stage system. They can be manufactured in a variety of lengths and with a variety of leadscrews. They are available with one, two, or three axes. The Stage STR64xxx is a low cost stage that offers 6" x 4" of travel in a thin (19mm thick) X, Y stage. 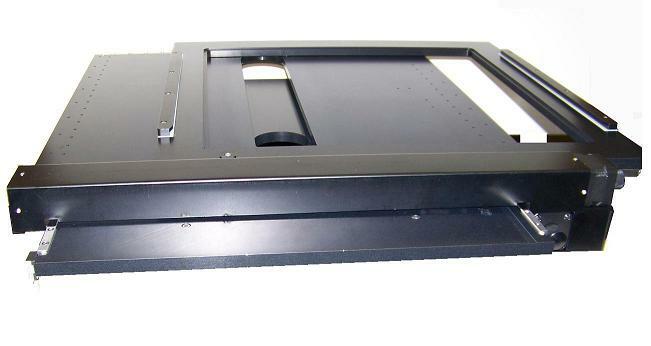 The Stage STR75xxxx is a low cost motorized stage that offers 7" x 5" of travel in a thin (19mm thick) X, Y stage. It is designed specifically to allow full access to two well plates. The Stage STRE5xxx is a low cost motorized stage that offers 13.5" x 5" of travel in a thin (19mm thick) X, Y stage. It is designed specifically to allow full access to three well plates. The Stage controller comes in two different packages. A table top unit with internal joystick and a compact units with external joystick. The Stage 4400 is a low cost Manual Stage, that offers 4" x 4" of travel in a thin (1" thick) stage.